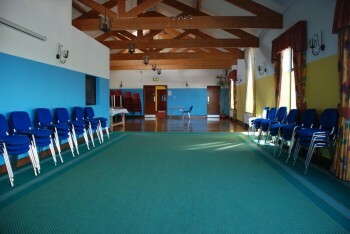 The Centre has 7 rooms for hire. A Projector, screen and sound system are available on request. NEW: WIFI is now available throughout the Center for use by customers. 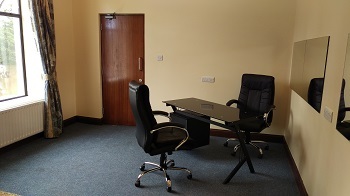 On the first Floor we have the Anderson Room, Consultation Room/Office and River View rooms. 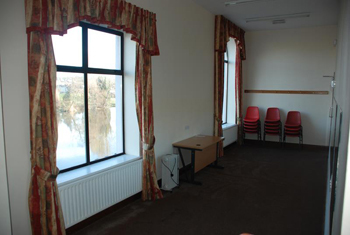 All these rooms have magnificent views of the Blackwater River and of Fermoy Bridge. Tea and coffee making facilities are available. We also have a fully fitted kitchen in the Anderson Room. 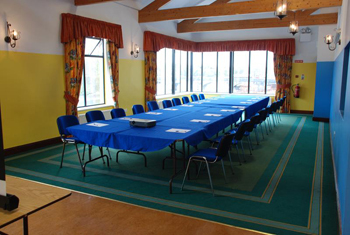 On the ground floor we have the Orange Room and the East Room which both have a magnificent view of the River Blackwater. 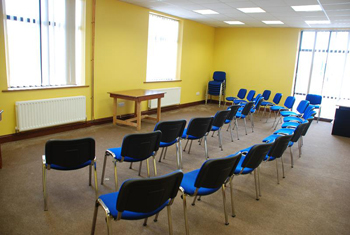 Accessible via the sports complex we have the Mineral Bar Room upstairs, suitable for small groups of 15 to 20 persons. Toilet facilities are available on both floors with a disabled access toilet downstairs. 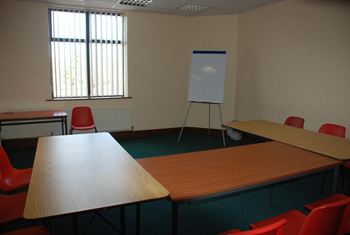 The centre’s many meeting rooms are used extensively by the Clubs and organisations of the town. These rooms are often booked many months in advance. 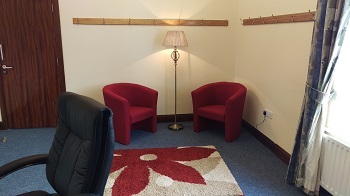 Please see our room bookings page to make your booking and the facilities gallery for more pictures. 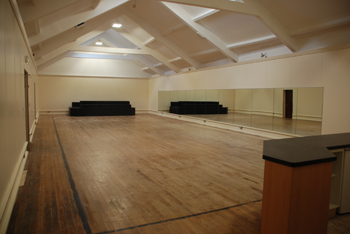 Our Dance Studio/Hall is licensed for Public Dancing and has a capacity of 250 people. 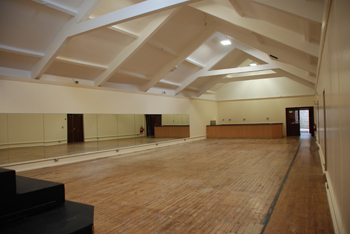 The hall has recently been refurbished with the addition of a section of mirrored wall and a complete upgrade of the insulation/wall finish. We have a Kitchen / serving area for refreshments and party catering. We also have a stage for performers/bands. 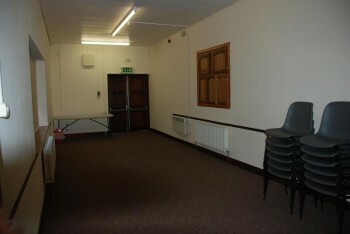 The Hall is also available for kids birthday parties and a local business can provide a bouncy castle/obstacle course for a fee. 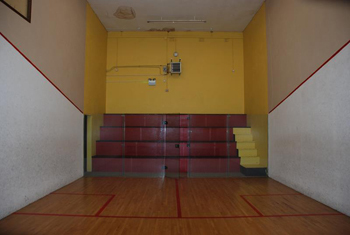 The Hall has a wooden floor suitable for indoor sports, i.e. basketball, indoor soccer and Badminton. 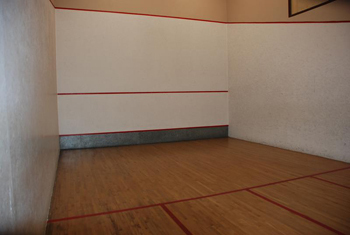 Fermoy Racquetball Club and Fermoy Handball Club are based in the Fermoy Community Youth Centre. They share the two 40’ x 20’ Courts, which have maple floors and a large spectator area. 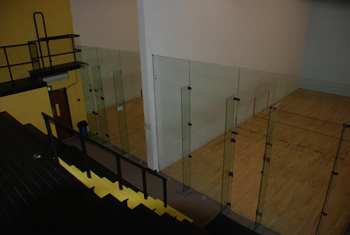 The Racquetball Club are currently updating their training hours. The Handball Club train every Saturday morning from 10.30am to 1.00pm. 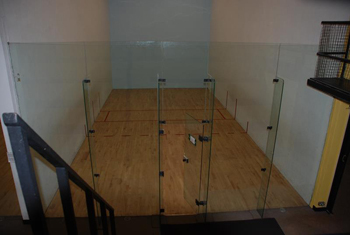 Squash has become very popular of late and we have members who are anxious to meet and play with others. Anyone interested in setting up a League or a Club please contact the Centre here. Male and Female showering and toilet facilities are situated in the Sports Complex.